I’m not shy but crowded spaces, noise and overstimulating environments drain my energy. I need a lot of time of silence and loneliness in order to recharge. I prefer low light, calm and soothing environments, and rather minimal, yet cozy decoration. Most of clients are introverts as well so, throughout the years, I’ve adapted my photographic process, the way I organize and structure photoshoots and the activities I include during a shoot day, to respect their energetic needs and make sure they move through the day happy, energized and excited. I want my clients to shine in front of the camera, and I believe it is my job to make sure they’re comfortable with me, at ease in their surroundings (especially if we shoot outdoors), and overall feeling so great throughout the photo-shoot (however long it takes) that their smiles become blindingly bright and their eyes sparkle with joy. In this blog post, I’ll tell you about adaptations that I regularly put in place to set my introverted clients at ease. Every person is unique, and I always check in with them, before and during the photoshoot how they’re feeling. 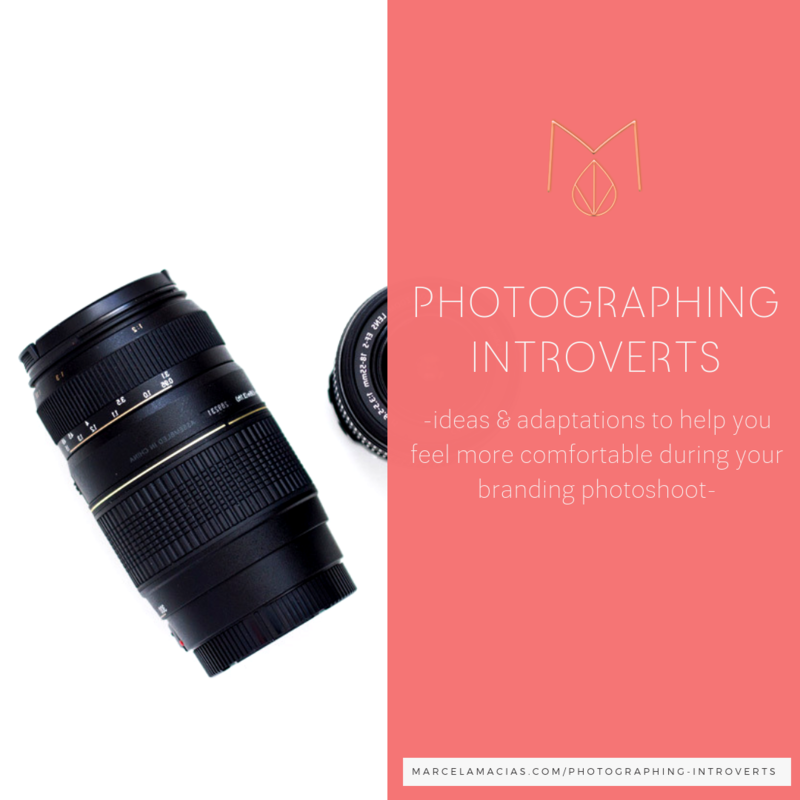 If you’re an introvert, some of these adaptations may not work for you, you may need different or additional things, or not need all of them, and that’s ok. I’m writing this as an inspiration, so you feel empowered to request what you need in order to feel your best during your photo-shoot. Because when you feel your best, you will look your best, and you will let your inner light shine brightly. Whatever it is that you need, we can probably make it happen. I want you to be SEEN as you deserve this year. I want you to feel confident to put yourself out there. I want you to enjoy taking photos of yourself and to look forward to the next time you’ll be in front of the camera. This is why I’ve made a list of what you can do to help your photographer create a photoshoot experience that feels wonderful for you, and that matches your energy. I’ve also listed my own process and why I do what I do below that,so you can get some ideas of what to ask and why when getting ready to book your own photoshoot. Before the photoshoot, make sure you’re comfortable with your photographer and that you have agreed on a shared vision for your images. This will go a long way towards helping you feel at ease during your photoshoot. I suggest meeting with your photographer, either in person or online, if possible. If not, you could email her information about your business, what you hope to achieve with your images (where you will use them, the feelings you want to transmit, whether there are formatting requisites she should consider, such as leaving space for text, etc). If your photographer does not create a moodboard for you as part of her services, you could share a Pinterest board with her, explaining what you like about each image, so you can then bounce ideas. Let her know if there are any images from her portfolio that called to you the most, and what you liked about them. It can also be a good idea to follow a photographer you’re planning to hire on social media, just so you’re familiar with her voice, her style and her energy. The more used you are to interacting with her, the easier the day of the shoot can be. If you need time to recharge after a certain time and what this time requires. Do you need silence and nature? Do you need to drink and eat something every couple of hours to be at your best? What kind of activities deplete your energy and which ones hep you recover? If certain locations, sounds and lights are too uncomfortable, overstimulating or overwhelming for you. Let me give you an example: In March last year we shot a few image at the Palais de Tokyo museum in Paris. We thought, before arriving, that they had a different exposition going, whereas the one that was actually there was an exposition on war. The lights were fluorescent, the sound of bullets and shooting very loud, and the images deeply disturbing. We had to leave, because it was intolerable. If you can’t stand crowded places, or would rather no one was watching while you have your photos taken. This will help your photographer monitor the times of day when certain locations that may be great for your brand are emptier of people. If you function better at certain times of the day. Our biorhythms are different. I, for example, am a morning person and function better early in the morning, so I can start the day full of energy, whereas others may need slow beginnings in order to be in top form around 10 am in the morning or after lunch. Your photographer can structure the day of the shoot to match the times when you are at your best, and give you time to recharge when you need it. If having the camera always pointed at you makes you uncomfortable, and you would rather have a more “undercover” style of shooting. Do you need your photographer to distract you? Would you like your photographer to be far away from you when shooting, so you’re not too intimidated by it? Take a look at my different shooting styles below for inspiration, we can make anything you need happen. If having lots of people around makes you uncomfortable. Would you rather have a one to one shoot (just the photographer and you) or can you stand a big team around you? There’s nothing wrong with wanting a more low key experience, just let us know so we can adapt the shoot to what you need. Any fears you have about the shoot, and things you would definitely NOT be comfortable with. If you want to check the images as they’re being shot in the little screen behind the camera, to help you make sure you like them so far, and correct anything that may not be what you desire. As an introvert, I know being in front of the camera can be intimidating, especially if I’m not familiar with the person who will take photos of me or with the place where we will shoot. This was also a BIG issue with most introverts I contacted when preparing this blog post…so if you feel this way too, know you’re not alone. Since I work mostly online, most of my clients hire me without having ever met me in person. They come to me because we have interacted on social media, they have followed my work and are a part of my community, or they come recommended by someone else. Add to this that I live in a small city, in a small island, 3 hour-flight away from most big European cities, which makes meeting before the photoshoot a difficult thing to do. For this reason, I have created a thorough on-boarding process that allows my clients to get to know me as much as possible, and for them to know (weeks before we shoot) how everything will take place on the day of the shoot. -When a client signs up to work with me, I create a client page especially for them. In this page, I explain, step by step, everything about how we will work together. This includes all preparatory work they need to ( 3 branding tests and 1 branding questionnaire + a 1 hour meeting with me) and what I will do with it: prepare a moodboard, a list of possible photoshoot locations for them to approve, a list of props they may want to use in the photoshoot, a detailed shot list I suggest for their approval, and a list of archetypal symbolism associated with their branding archetypes. This page also includes all my contact information so they can reach me anytime. – The Skype meeting allows my clients to talk with me and see how I work in real life. In it, I ask questions about their prep- work, we bounce ideas, we talk about props and keywords and inspiration and the feeling they want to transmit with their images. We discuss their marketing plan for the year following the Photoshoot, products they will release, social media platforms they are planning to use, topics they’re planning to talk about in their blog posts and newsletters, and discuss how their new images will support these goals. We also discuss clothes, accessories, hair and makeup and they are free to ask me absolutely anything they want to know or that makes then uneasy about the photoshoot. – The Moodboard I create allows my clients to get an idea of the look and feel I envision for their photoshoot, and why I choose it. It is based on their tests results, questionnaires and on our meeting and it allows my clients and me to agree on a shared vision before we take a single image. It is, as everything I do, subjected to their approval, and I’m available to rework it until they’re 100% happy with it. – The list of suggested locations allows us to plan an itinerary for the day and to know what to prioritize in case we don’t manage to reach all places where we’d like to shoot. Each location is selected to match the look, feel and vibe of moodboard and is, of course, subject to approval from my clients. This allows us to visualize how the day will go. Where will we begin shooting? Where will we go next? What clothes will be better for each location? What light is better for each place? What time of day are those locations with less people around? What caffés and restaurants and parks and quiet areas do we have within close distance of each location, where they can have a moment of quiet to refuel and recharge? What covered areas are there close by, in case it rains? All these are details I add to a google map that I save in my phone app, which I carry with me on the photoshoot. – I also send them, together with the moodboard and the list of suggested locations, a Guide with advice on how to get ready for the photoshoot. This guide includes everything we discussed about clothes, props, and what to bring, as well as a description of how the day will go and a list of suggested shots for their approval. I am also available for them to contact me via email at any time, with any doubts they may have. I try to make it a point, as far as possible, to book my airplane tickets for the day before in the morning, so that I’m available to meet for coffee the day before of the shoot, if my clients want to. This way we can talk about anything else they need, go over outfits and adjust the itinerary according to the weather forecast. One important note about my process: It is not inmovable. When I was preparing this post, I asked in business groups I am a part of what fellow introverts preferred, and some of them mentioned that they would rather do everything via email and not meet in person or via Skype because of social anxiety. If this is your case, I want you to know that all these processes can be adapted to suit your needs. Just let me or whoever you choose as your photographer know how you prefer to work: you being comfortable is what’s important. The day of the photoshoot, whether this is a 2 1/2 hour shoot, or a full day, my main focus (apart from capturing them in all their glory) is to take care of my client’s energy. In order to do so, there are some things that I’ve learned work better, both through experience (cough mistakes cough) and by asking questions to other introverts like me about what they prefer. In my experience, most introverted clients need to slowly ease into the day of the shoot. No blasting loud music during hair and makeup and no starting the shoot jumping up and down the city. What starting slow and easy means is that we begin the photoshoot talking, testing poses, and normally photograph for the first hour in one location, in whatever outfit is their favorite. We may do breathing and visualization exercises to help them relax and feel comfortable with me. I also show them the images we take, so they let me know what they prefer and so they get comfortable with seeing themselves in photos (and they can see how gorgeously beautiful they really look). If this was a movie, it would the part of it where you see a slow Sunday morning with sunlight streaming down the windows, and the heroine drinking her coffee while reading the newspaper. No rush, no stress, just a quiet enjoyment of the beginning of the day. During a long day of shooting, it’s important that my client’s energy stays stable and their vibration high, because this is reflected in their images. In order to do this, I need to schedule pauses, break, as well as slower paced shooting times, when they can recharge and recuperate. This includes times when they can eat or drink something that will keep them nourished and full of energy. 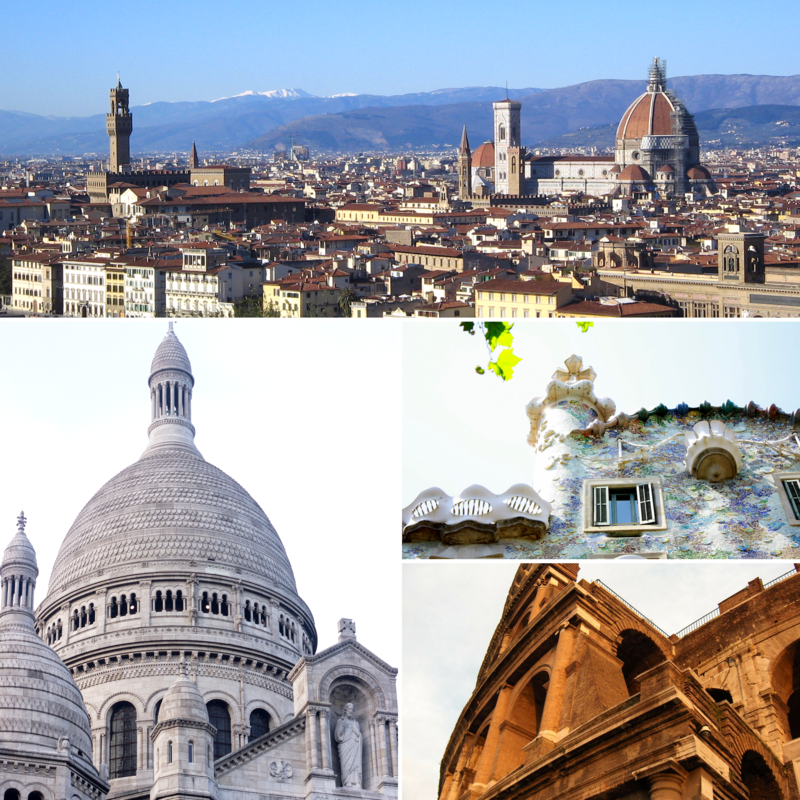 The way I do this is by carefully planning the itinerary of the day and making sure the different locations are close to cafés and restaurants that match their style, where we can quickly grab a drink or a bite, as well as switching locations where the ones we’re at become busy or crowded. So, for example, if we’re shooting in an office area, I will make sure we leave when people go out for lunch and move to a quieter place, like a nearby park. We may shoot in more touristic areas in the early morning, to ensure they’re as empty as possible, or schedule the shoot during weekdays (instead of weekends) in places that tend to be frequented by families or large groups of people. Before shooting, I research locations to make sure the ones we like are not crowded, so my clients don’t feel self conscious having people watching them while we shoot; or too noisy or overly stimulating. I also check the lighting of the places they’ll be photographed in, to make sure it’s not too harsh and bright, or look for alternative areas where we have natural, soft light nearby. If my client wants to shoot in a private area like a hotel lobby where they love the decoration or a museum, or a botanical garden, I will always call first to request permission, and ask the venue which time of the day there are less people around, so they can feel more comfortable shooting. During my latest photoshoot in Switzerland, for example, we shot at the Hotel Beatus, early in the morning, when most guests were either sleeping or at breakfast. When I shot at Winterthur Museum, we did so on a Friday morning, when it was almost empty. a- Posing: Most of my clients don’t like traditional posing, where a photographer makes you stand in front of the camera and tells you to look there and move your right arm there and the neck to the other side and the leg down and you feel like a contortionist in a circus and a little bit awkward and a lot on the spot. But just because someone may not like posing it doesn’t mean they don’t like to be gently guided to look their best. The goal, after all, is for my clients to have images they love. And, mostly for them to love images where they can recognize themselves. I am convinced that branding photography is about revealing your inner light, not about changing yourself into something you’re not. So, at the beginning of the photoshoot I will spend lots of time observing my clients and taking lots of images. I want to see how they move naturally, how they smile genuinely, how their hands move when they talk, how their eyes shine when they think about something they’re exited about. And then, when we shoot the rest of the day, I’ll take this knowledge and use it to give them small indications here and there, and adapt the angle I shoot from or the lenses I use, so they always look their best without feeling self conscious. b- Photojournalistic lifestyle images. By photojournalistic I mean the images where a person is not posing but rather doing something else. 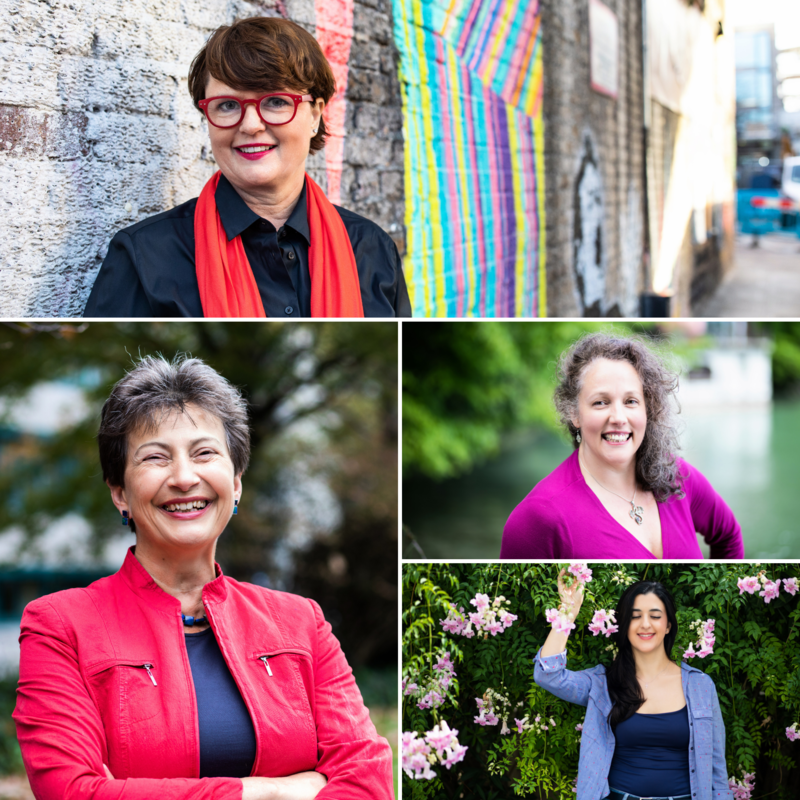 I will normally shoot these type of images after shooting headshots or traditional portraits, so my clients can relax again, without feeling self- conscious by having a camera being pointed at them all the time. These may be, for example, close up shots of my client’s hands when meditating, or images of them walking down the street (shot with a telephoto lens, so they don’t feel being chased by a paparazzi), or reading a favorite book, or having a coffee. When I shoot these types of images, I sometimes remove the sound from the shutter of my camera, so it’s silent when I click and my client is not disturbed in what she’s doing. This helps them relax and makes the images look more natural. c- Play. This is a recourse I use a lot during photoshoots to distract my clients and help them look relax. This is also how I get their most genuine smiles and laughs on camera. – I ask my client to do something they don’t expect that includes body movement, like jumping or dancing. The objective of these requests is twofold: Photos with movement look amazing and are great at starting conversations, and the BEST smiles and laughs happen before or after a client does something out of the norm and THAT is when I take the photo. Finally, my policy in general is one of zero pushing. I make suggestions, and try to make the day as playful and fun as possible, but I never ever, ever push a client to do something they’d be uncomfortable doing or that they feel would be completely out of character for them. I want the experience of having a Photoshoot to me to be as pleasing as the final photos they get. In my next blog post, I’ll tell you the energetic tools I use during photoshoots to support my client’s energy. If you’ve had a photoshoot before: what parts did you love? What suited your personality best? If you’re an introvert: would these adaptations work for you or would you need something else? 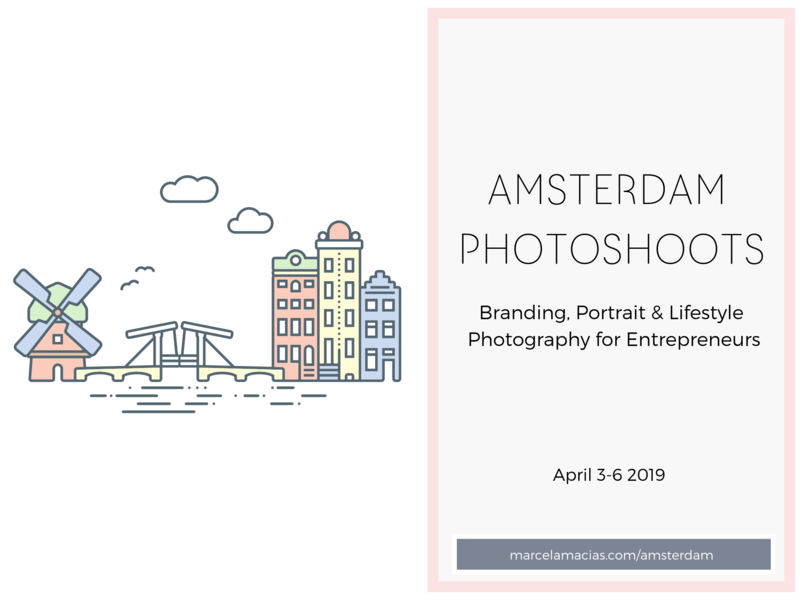 This Spring, I’m traveling to Amsterdam to photograph a select group of driven, heart-centered & soulful entrepreneurs who are ready to invest in visuals that are archetypally aligned, highly customized, beautiful, authentic, strategic and effective to propel their business success. Ready to do this? Click the button below to learn more about the 3 different packages available and book a call to get you started. 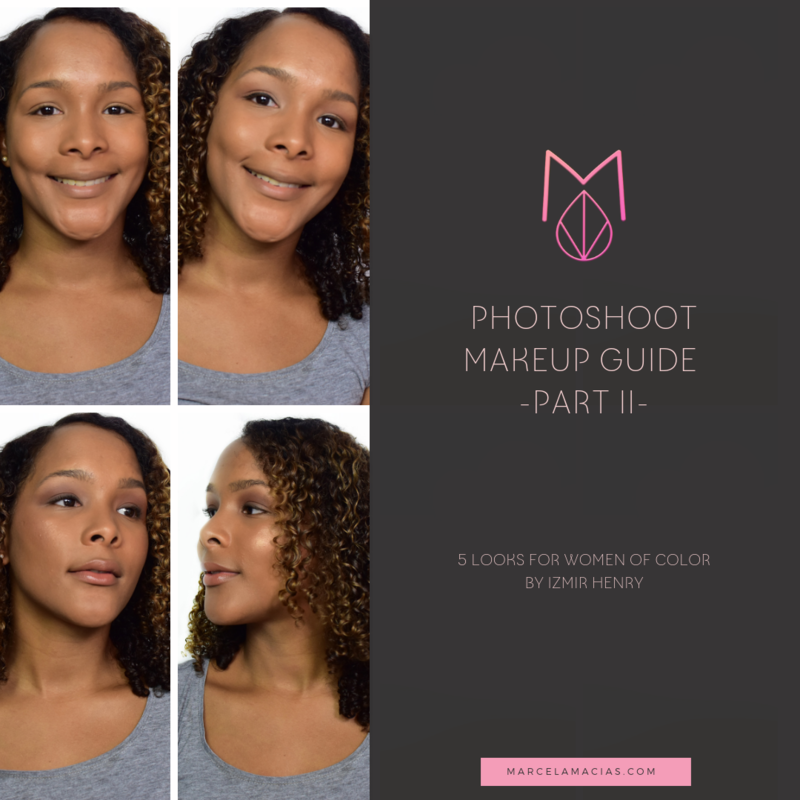 When I wrote my previous blog post, using myself as a lab rat to create a progressive, building-blocks inspired makeup guide for your next photoshoot, I knew my work was not complete. I am, after all, a white woman with cool coloring, and the makeup styles and colors that look good on me, may look completely different in women with different coloring and complexions. And if finding looks my clients could relate to was difficult if they were white, it was next to impossible if they were of a different ethnicity. 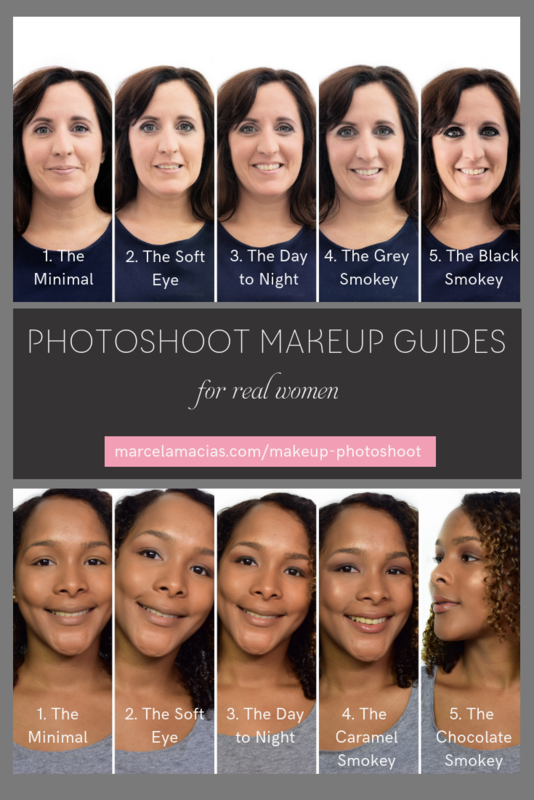 Ladies and Gentlemen, I hereby present you The Photoshoot Makeup Guide, Part II. Izmir worked just as Maria had worked with me, with the idea of a makeup system that could work progressively, so you can decide after each step, whether you want to deepen the look and make it more dramatic, or not. 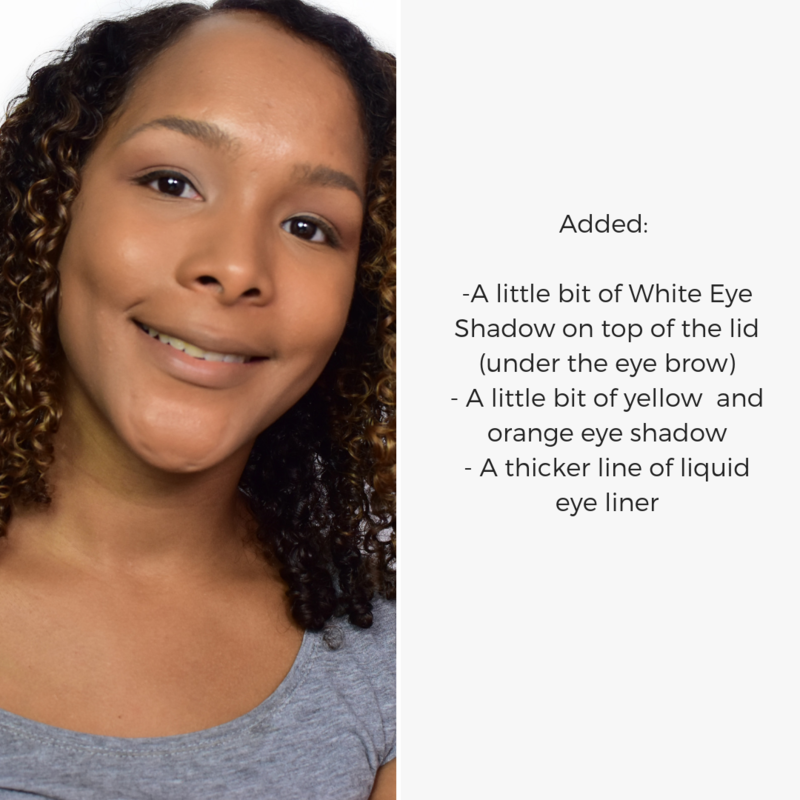 As in the previous post, none of the photos was retouched in photoshop at all, because we wanted you to have a clear view of the change makeup can achieve on its own. 1) You will notice that Izmir used different colors from the ones Maria did with me. 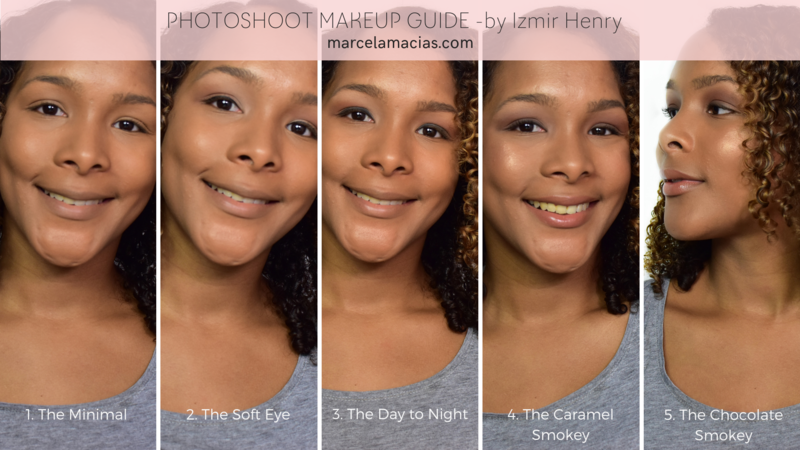 There is no grey and black smokey eye in this guide, and this is because Izmir’s skin has warm undertones (whereas I have cool undertones). Skins with warm undertones look better on reds, oranges, yellows, creams, bronzes, caramels and chocolate browns. Skins with cool undertones look better in lavenders, pinks, whites, blues, greys and blacks. It’s important that, when deciding your makeup style, you take this into account in order to select colors that suit YOU better. As you will see in Izmir Photos, a chocolate smokey eye looks amazing. (side note: hello, L’Oreal, how about you provide options for someone other than white people?!). Ready? Let’s begin with the softer looks. The first photo below shows you Izmir without any makeup at all, so you can see for yourself the difference made by each product she added. 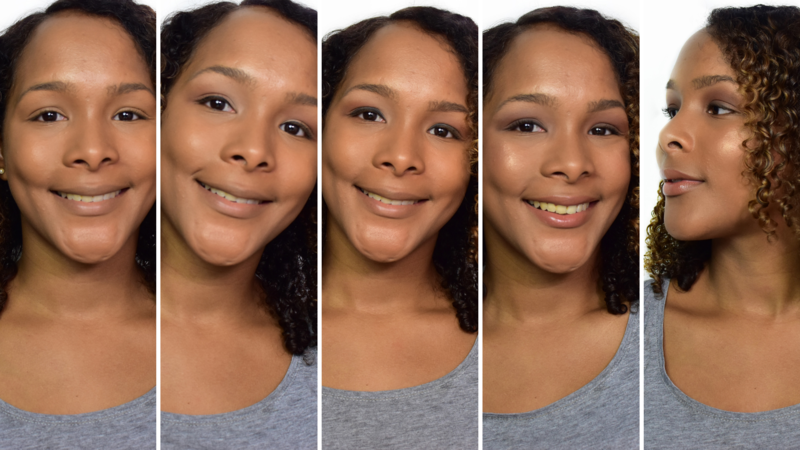 In order to create the first look, Izmir started by using foundation (she mixed two in order to create the right color for her complexion). 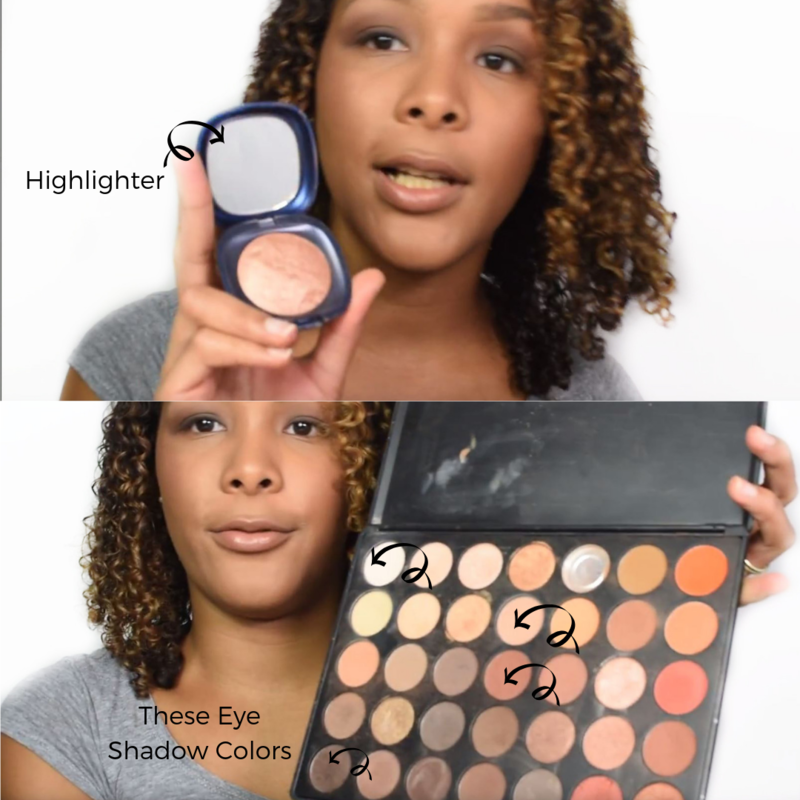 Then she used concealer under her eyes, also mixing two shades, and eye primer. 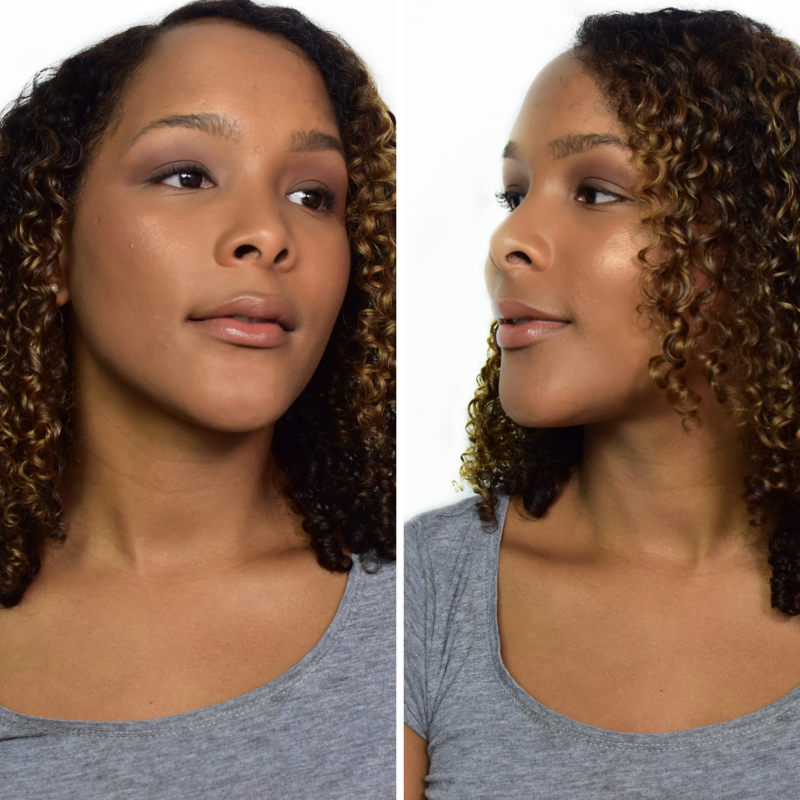 She then added highlighter , finishing powder and blush in a lovely bronze color. She also delineated her eye brows with Eye Brow pencil. Finally she drew a very thin line on her top eye lids with liquid eye-liner and topped the look off with a coat of mascara. 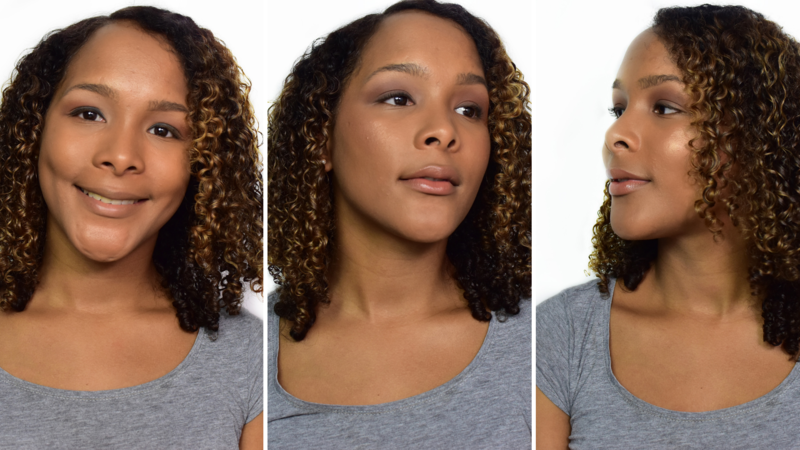 If you look at the photo collage of the first three looks, you will notice that, even though it doesn’t look like she’s wearing makeup with this style, the difference it makes in her skin and eyes is, as in my own guide, quite noticeable. 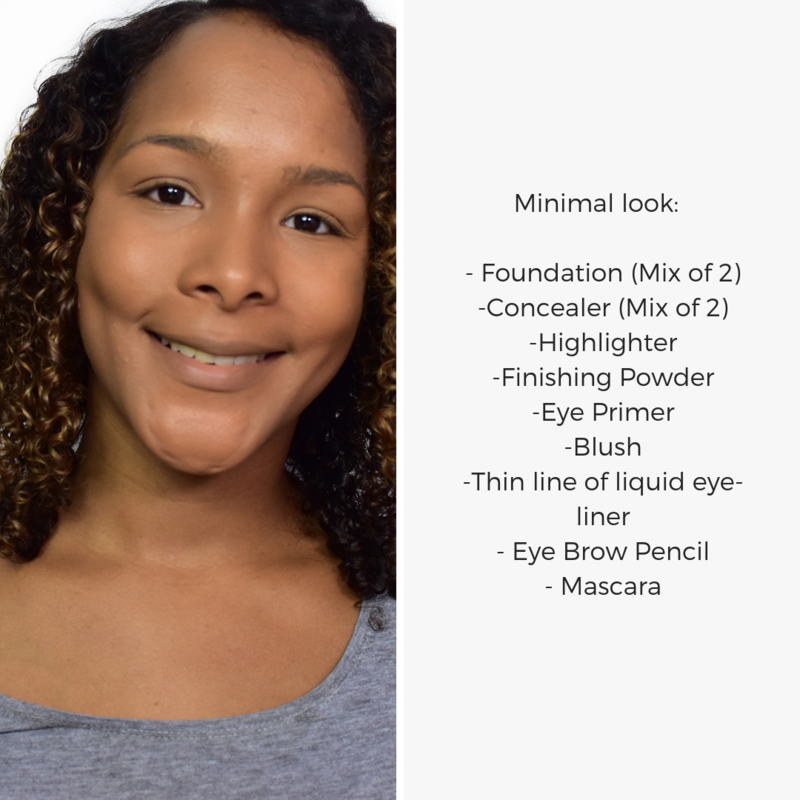 In this look, which is ideal for an everyday look and looks really nice, Izmir added eye shadow (white on the upper part of her top eye lid and yellow and orange-brick color on the lower part of the top eye-lid). She also added a thicker layer of liquid eye liner, which better defines her eyes. 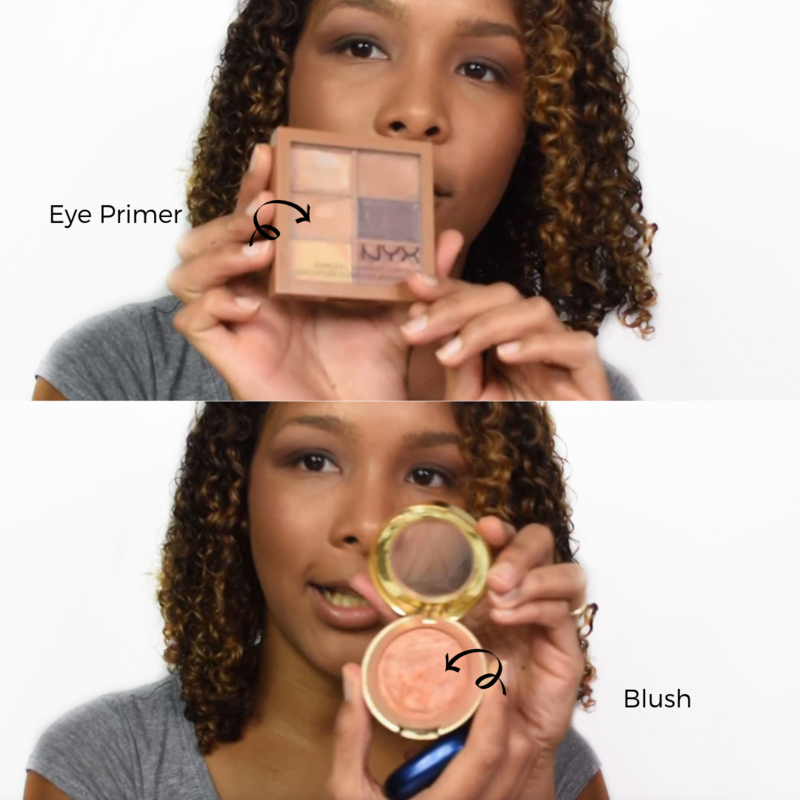 As you can see, both looks are ideal for someone who is not used to wearing makeup, yet wants a little extra something. This look would work really well for the day, as well as for a night out. 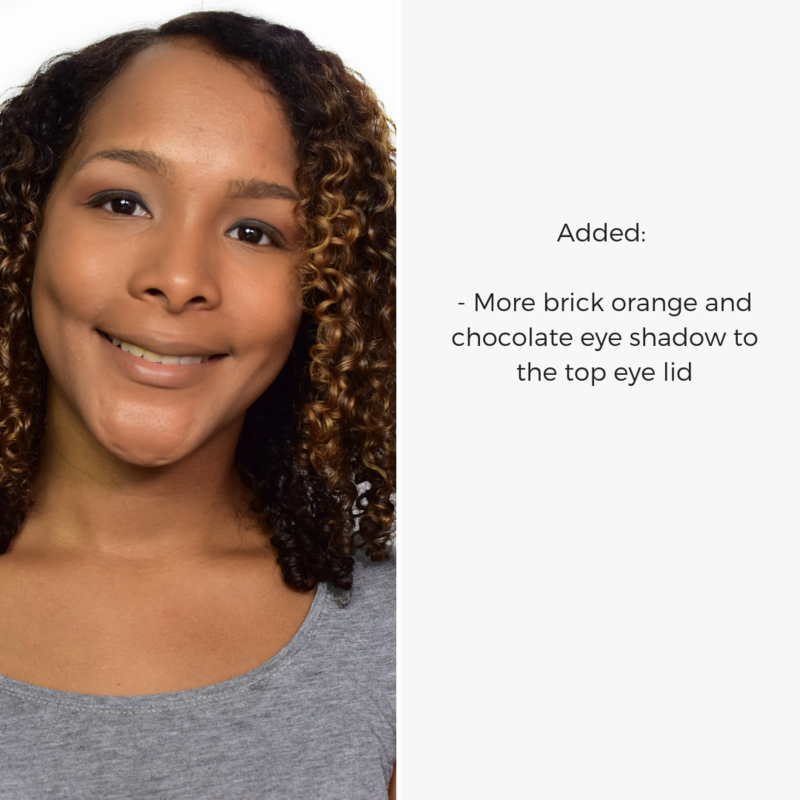 The main difference between the two looks is that, in this one, Izmir continued adding more orange-brick eye shadow and added chocolate brown eye shadow too, diffusing them for a warm, deep look that beautifully highlights her eyes. In the fourth look, the eyes start to get more dramatic. Izmir created this look by adding more chocolate brown eye shadow (the one she chose has golden sparkles too) and blending it with black eye liner. 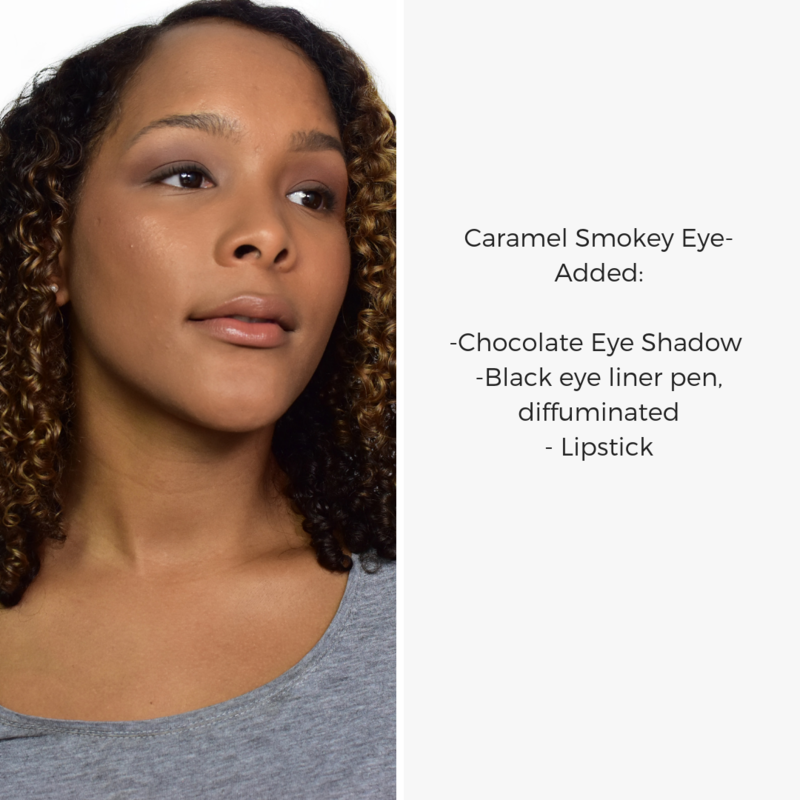 The combination with the preceding orange eye shadow creates a beautiful burnt caramel look. As you can see from the photo above, the eye liner line that was clearly defined and looked very much as made with liquid eye liner, now blurs and blends with the eye shadow. It’s there, but softer. 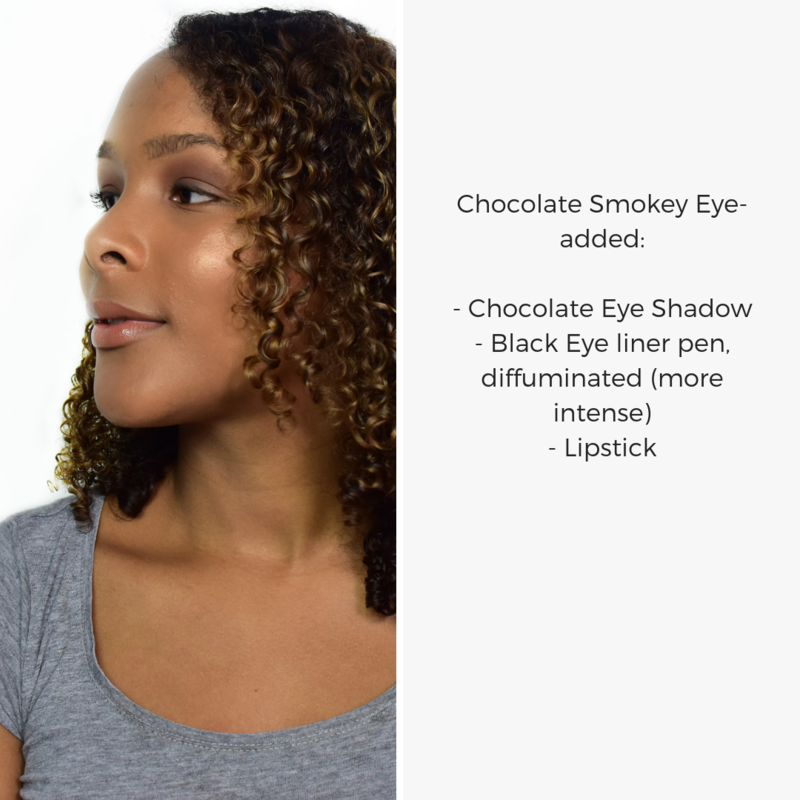 Finally, the most dramatic look, the Chocolate Smokey Eye, darkens and deepens the previous look by adding even more chocolate eye shadow, combined and diffuminated with more black eye liner pencil. Both smokey eye looks are also complemented by neutral lipstick, which adds shine and a tiny bit of color to the mouth. And here are all 5 looks side by side. And a Pinterest-friendly image, if you want to save this post in your boards and share it with the world. Which one would you choose for yourself? Which one feels more like you? Have you ever tried Smokey Eye? Would you try it, if you haven’t yet? You’re about to plan a photo shoot, and are ready to call a photographer o get your first brand photos. Or maybe you’ve set your eyes on a premium stock collection. But will the photos you have asked be enough? What should you ask your photographer to photograph? How many photos will you need before you need a new shoot or a new purchase? How can you make sure you’re maximizing your investment, and won’t end up wishing you had asked for something different a month from now? In today’s video I’ll show you the system I use with my photography clients to make sure all their image needs are met- for at least a year. Images follow words, my friends. And they follow your projects, your goals and your business objectives. Will I change my website? Re-brand? Upgrade my design? Create a video intro? You need to know this in order to make sure that all your design needs are met. If you will be doing a major re-brand or re design, it’s a good idea to work with designer, brand stylist and photographer as a team, so each has the same vibe and feel. A great photo for your Header. A variation of photos that you could use in your blog and to further illustrate other pages. 2. Am I at the center or my brand, or are my products? Do I want to shift this? Personal Brands are all the rage these days, but they’re not everybody’s piece of cake, or great for every business. It is up to you to make your business based on YOU, to be the face of your business, or to make it more product/service based. I recently had a client, for example, who hired me because she was tired of having her face plastered everywhere on her site. She wanted to put the accent on her clients and what she could do for them instead. So we created a series of images with lifestyle scenes and flat lays showing her products and representing her services, and how her clients could use them. We photographed the printable worksheets of her lead magnet and those of her main offering, and created images with electronics where she could overlay blog posts, videos and other material, to keep her images up to date. 3. What content will I create this year? What topics will you write about? Where will you focus? How many blog posts, videos, social media posts are you planning to put out into the world? The most effective photos speak the same language as your copy. So plan what you will be speaking about, so that you can find or commission photos that show the same topics and elicit the same feelings. 4. What free lead magnets will I create this year? Again, think about topics, feelings and lifestyle, as well as practical issues such as design, and layout. 5. Which services do I want to promote? Has anything changed about my services that I want reflected in my photos? Do you want to promote one to one services? Group programs? Live seminars? A conference? The type of photos you’ll need for each of these are different. If we want to convey personalized, one to one services, a photo of you leaning towards the viewer would be great, as would photos of hands in front of the computer, or working on your worksheets…whereas for group programs, seminars and conferences we would also need to convey the idea of community. Same with your services. A change in the type and range of services you offer may require a re-evaluation of the photos used to represent the lifestyle and convey the feelings you want to elicit in your potential customers. 6. Which products will I be launching this year? With which frequency? Do these products have photos or do I need to take new updated ones? Are there new products? What is important for people to know at first glance about my products that I want the photos to reflect? Knowing what you will be launching and when will allow you to make sure that you always have photos for your sales pages, social media and ads and that these images match the feeling of the products you’ll be launching. And don’t worry if you haven’t finished creating those products. If you have an idea of what they will be about, and who they will target, I can photos photos for them. Here’s how I did it with one of my clients, Andrea Hiltbrunner. We took a look at Andrea’s huge range of products, and her brand colors, and grouped them according to the chakra they helped activate. For example, some products helped her clients access their intuition, so we chose the colors of the third eye chakra, some products helped her customers feel empowered and make money, so we used to colors of the first and third chakra (red and gold). We divided products in the same way, using archetypal symbols. For some core online products that were ready to be launched, we printed their worksheets, but for those that were still in development, we focused on the feeling we wanted to portray, where they landed in our chakra color chart, and used electronics and blank pages where Andrea’s designer could later overlay the worksheets and video snapshots of her course. If you are planning to create a different range of products, talk to your photographer about them so she can shoot images you can later use to illustrate them, and don’t need to run around stock sites looking for extra images. 7. Where do I promote my business? Will I be adding new channels? Which social media platform do you use? Which one gets you the most and best clients? Are you planning to add a new social media platform or simply deepen and grow your presence in the one you’re already mastering. How many times a day do I post on each? Do you also advertise? Where? Facebook ads? Google ads? Blogs? Print media? b- Second, because each social media platform has different audiences and what works in one, may not work in the other. Instagram audiences, for example, prefer more curated feeds, whereas “realness” and humor work very well on facebook. c- Third, because the number of posts and the sizes you require will determine how many times you can repurpose a photo with crops, and color overlays. One of my flat lays can be cropped into 30 different square images. With color blocks in two different brand colors and two different shapes,each image can shield 150 instagram posts. If you consider that with my Grow Plan, you get 15 high resolution images and 30 tutorials on how to repurpose your images, what you are actually getting are 2250 social media posts, which allows you to post 6 times a day for a full year on social media, and not repeat visuals. Or 3 times a day for two years. Without counting photos you make take with your phone, or portraits or even graphics. 15 photos, then, are not 15 photos. Well planned, they’re two years of peace of mind. 8- What do I want my clients to know about me? The answer to this question will determine the type of photos we take. Whether we focus more on lifestyle images, corporate style ones, or on your products. Here’s what you need to do: Choose 5 qualities you want to convey with your photos. The ones that make you different from others in your same field. Give these words to your photographer or use them as keywords during stock photography search. 9- What feelings do I want to convey with my photos? What do you want your future customers and your fans to FEEL when they see your images? What do you want them to think? Choose 3 core desired feelings that you want your brand to convey and list them down. Now let’s put all this together. You have 5 different lead magnets that use a combination of printables and video. You will publish 52 blog posts, of which half will be video. 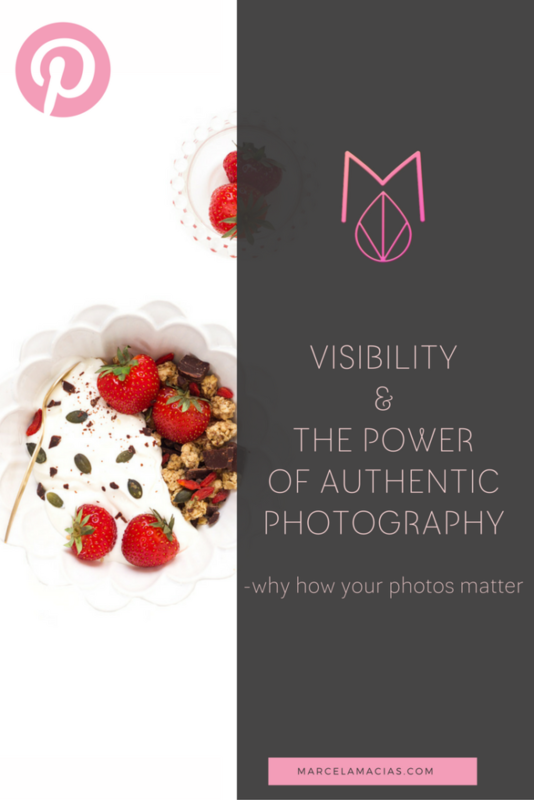 You want people to feel relaxed, empowered, and joyful when they see your photos. You will post on instagram and facebook 3 times a day. You will also start using linkedin and need images for your youtube video thumbnails. You will promote using facebook and linkedin ads, and want photos that are printable because you are looking to get featured in the printed press. 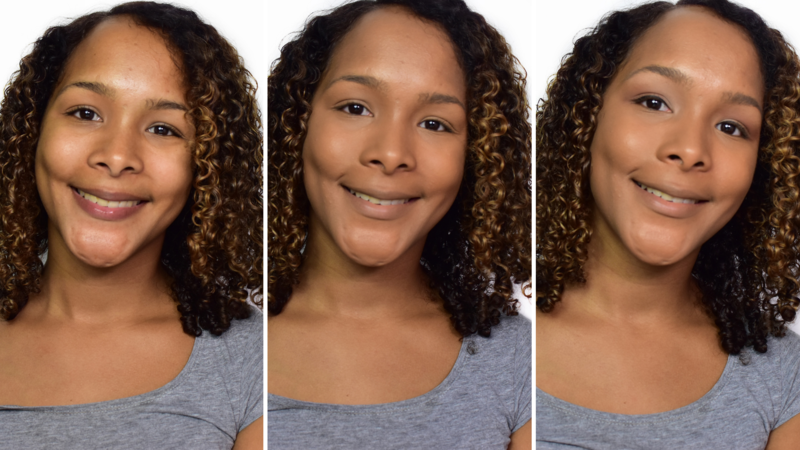 5 different portrait orientation product/lifestyle photos that you can use for your lead magnets, social media and website illustration. 10 flat lays that you can use for your website, and that you can crop for social media and to promote your content. 10x150=1150 /365= 4 photos a day. The Flat Lays will show your different products (2 with the style of each of your products, and 4 in the general style of your brand, more towards the higher end style, with electronics, . They can also act as Header and floating backgrounds for your website. Ideally, you would also add 3 to 10 lifestyle photos showing groups of people working together, listening (to you speaking) and detail shots of beautiful objects included in your brand (such as brand collaterals, gift packages etc, if you have a fully designed brand. If you don’t, you don’t need this). GRAND TOTAL: 15 -25 product, flat lay & lifestyle images, + 5 portraits. 20 to 30 high quality, personalized, high resolution images can solve all your photography needs for a full year. 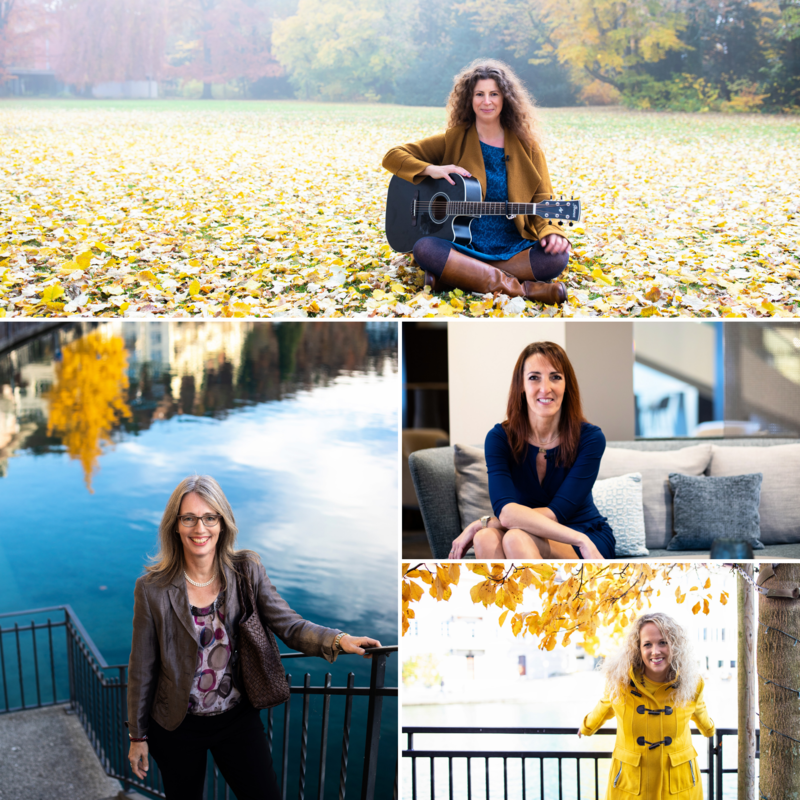 You can always add more images, and I would absolutely recommend getting professional retreat or conference photos, as well as professional book photos, if you’re a published author. You can also, depending on your budget, shoot individual collections for each product. But with 20 to 30 great images, you are set. All the rest is the cherry on top. If you liked this video and want more like it, subscribe to my channel and share it with your friends. Remember to download the checklist of questions that comes with this post on the link below, so you can go through all this before your next photoshoot. If you’d like to work with me, book a free call over at marcelamacias.com/book-now so we discuss what all your needs. Want photos that look like you- and no one else? Have you ever started creating a flat lay for your business, only to discover that you can’t manage to make them look like you had in mind- but you don’t really know what you’re doing wrong? 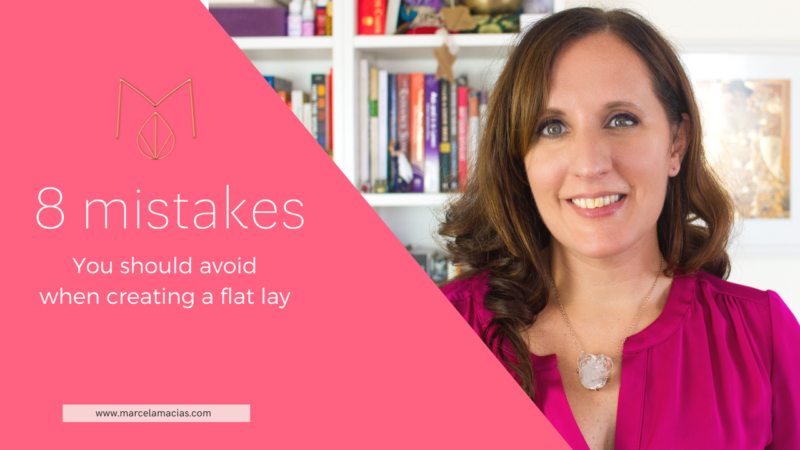 Today is your lucky day, because in today’s video I will show you the mistakes you need to avoid when creating a flat lay for your business- and what to do instead. This video is a collaboration with landscape architect Margalida Nadal, who will show you how to arrange flowers in a flat lay so they look their very best. Margalida has an amazing youtube channel with plenty of tips for your garden – so if you speak Spanish, go check it out after this video. So, what is a flat lay? A flat lay is a photo of a desk or any collection of objects taken with a bird’s eye view- or in other words, from above. Flat, because that’s how all objects look from that view (there’s nothing tri-dimensional no objects out of focus, no background other than the one where the objects lay. They’re very popular on Instagram because they’re relatively easy to take with a phone camera and you don’t need funny lenses to do so. They look easy- but if you’ve tried to take one yourself you may have realized they’re not so much so. So, to help you out, I’ve compiled the most common mistakes I’ve seen online-so you can avoid them, and simple easy solutions you can put in practice today. This is the number one mistake most people make. Having a strategy means: you know in advance where you want people’s eye to go, what you want them to focus on, what feeling you want to provoke in them when they see your photo and how and where you will be using the photo. What do you want to showcase: A product? Lifestyle? Some object you want people to identify with you. What feeling do you want to evoke: Fun? Ease? Aspiration? Comfort? Cozyness? Joy? How will you use the image ? Will you add text? Will you crop it in several different images? Will you overlay blocks of color? What objects that you have around your house speak about you, about who you are, about your values, about what matters to you? Could you add these to your photos? 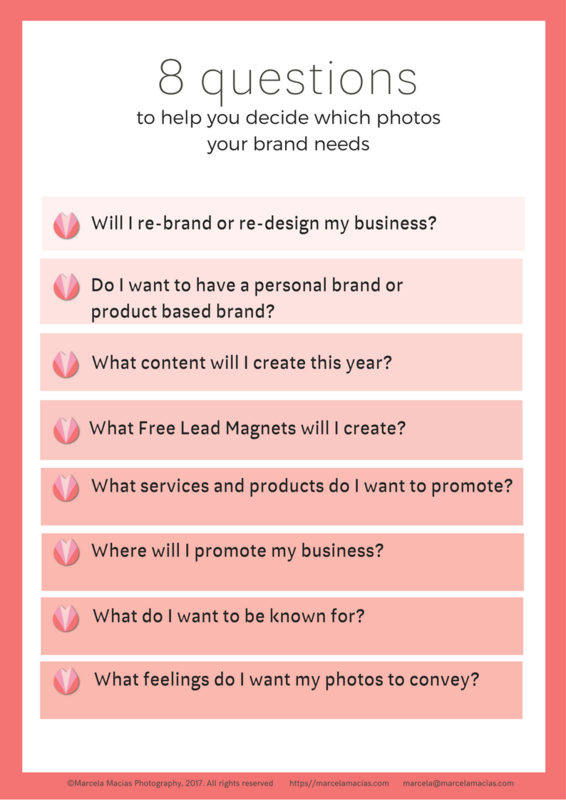 Taking a few minutes to answer these questions will help you create faster and with ease photos that enchant your customers and grow your business. Mistake Number 2: You don’t have a clear focal point or you’re not using it correctly. The biggest mistake. This is when it’s not clear in the photo what you should focus on, or the most important objects are away from the places where the eye is naturally drawn. You need to decide what you want people to notice FIRST when they see your photo, and place that object in the right place for that to happen. Center: The easier one, where the rest of the objects frame the object in question and direct the eye to it. Rule of thirds: draw two horizontal lines and two vertical imaginary lines in your background and place important objects in the intersection between two lines. Movies and series do this all the time (show framing of Outlander). ONE NOTE: If you are creating a flat lay with negative or white space where you are planning to add text, consider text your focal point and style accordingly. I love props. I adore them. Scouting them, buying them, styling with them. But the key with props is to use them STRATEGICALLY, to direct the view and to say things that you can’t say with words. Objects denote luxury, coziness, spirituality, fun, child-like joy, or your heritage..and pretty much anything you want to say, and, as such, are powerful assistants. But when they clutter the image, they detract from your focal point (and remember, the focal point is what brings sales!) . 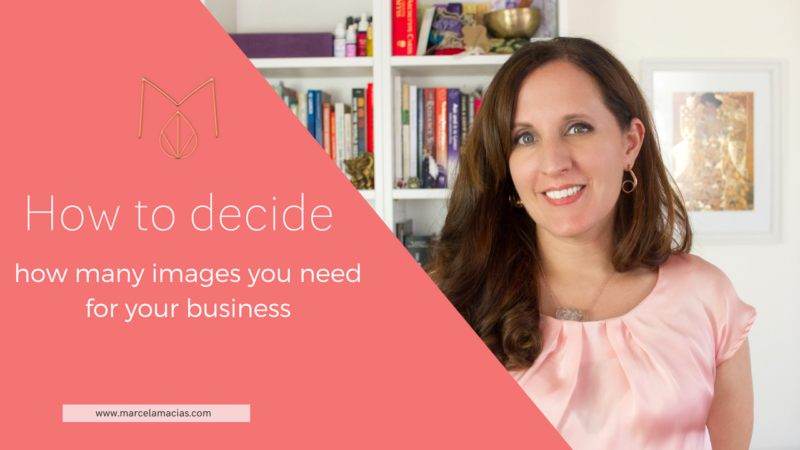 Cluttered images are overwhelming…and an overwhelmed person won’t buy. Allow the eyes to rest….and when in doubt, remove until what stays feels just right. Remember those foam hands with pointed fingers that were everywhere in 50’s adds? Or those images of a woman pointing at text? The objects in your flat lay need to act like those fingers, they need to be like arrows pointing at your focal point. 1) Take a look at the shape of the objects you’re planning to include in your flat lay and make sure that they’re directing the eye where you want them to. Example: pen, post its, erasers, spoons. 1) Have the right camera settings. If you’re shooting with a DSLR, make that your aperture is higher than 4. I shoot flat lays at 7 or above (depending on the lens, the sharpest aperture varies). Lower numbers are great for close ups because they blur the background, but terrible for flat lays. 2) Make sure that all objects have similar heights. Want to use flowers in your flat lay? Trim them! I cut the stems super tiny and put mine in a small glass of water (the tiny ones from Ikea). And always, always, always, set the focus on the most important object (your focal point). This is the trickiest one, especially if you shoot with natural light, from a window that doesn’t reach the floor. Have you ever seen flat lays where objects that were supposed to be white look yellowish or blue? This problem is called white balance. Some times, it’s easy to fix, sometimes it’s not. Adjust white balance in your camera, and use custom white balance. The way this works is you shoot something very white first, so the camera can understand what constitutes pure white and adjusts automatically the color afterwards. If all the above sound too complicated…choose backgrounds in another color. I promise you, there will be much less to adjust and you can add some personality to your flat lays. Greys, blues, wood and pink and great options. Look at your brand colors and choose backgrounds that will make your products pop! You are a business woman, and as such, your flat lays (and all your photos) should promote your business and help you sell. The way to do this is for each and everyone of your photos to contribute to telling your brand story. They should showcase your brand personality, remind people of who you are, start conversations. Lots of people fall into the trap of the “luxe lifestyle” photo and end up choosing images that have nothing to do with them, their message or their target audience and end up alienating prospective buyers. When you choose stock images or create your own, make sure your best friend would recognize YOU in them. what do you talk about in your blog and social media posts? What objects remind you of defining moments in your life and career? What objects could act as anchors of your message and your personality? What objects reproduce the shape of your logo? These were the mistakes you need to avoid when creating a flat lay and what to do instead. If you liked this video, subscribe to my email list below because many more are coming! Have you ever wondered how people do what they do? How bakers create their cakes, how designers come up with gorgeous logos, how photographers photograph? And no, I don’t mean backstage footage or photos (which is also fascinating). I mean what comes before: the process that leads to an idea being born. The rituals that help us conjure the inspiration, call in the Muse. I’ve shown backstage videos and photos of my work and I’ve created step by step tutorials many times too. But I’ve never talked openly about the process that leads to my photos being a certain way. A part of it is science: I know about color theory, design principles and I know my camera well enough to make it do what I want it to do. But the crucial part, I must confess, is magic. Not the magic of card tricks or flying wizards, I haven’t joined Howgarts yet (the damn owl refuses to bring me a letter). The magic of calling in and opening myself to the creative energy and allowing it to show me the way. 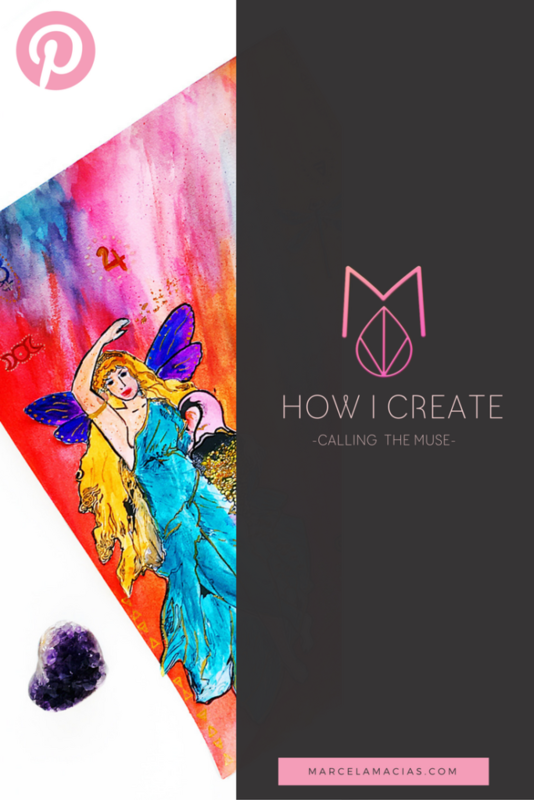 I have a series of rituals that help me be in the right mood for creating, and today I wanted to share with you one of them: Creating my amulet mixed art painting. 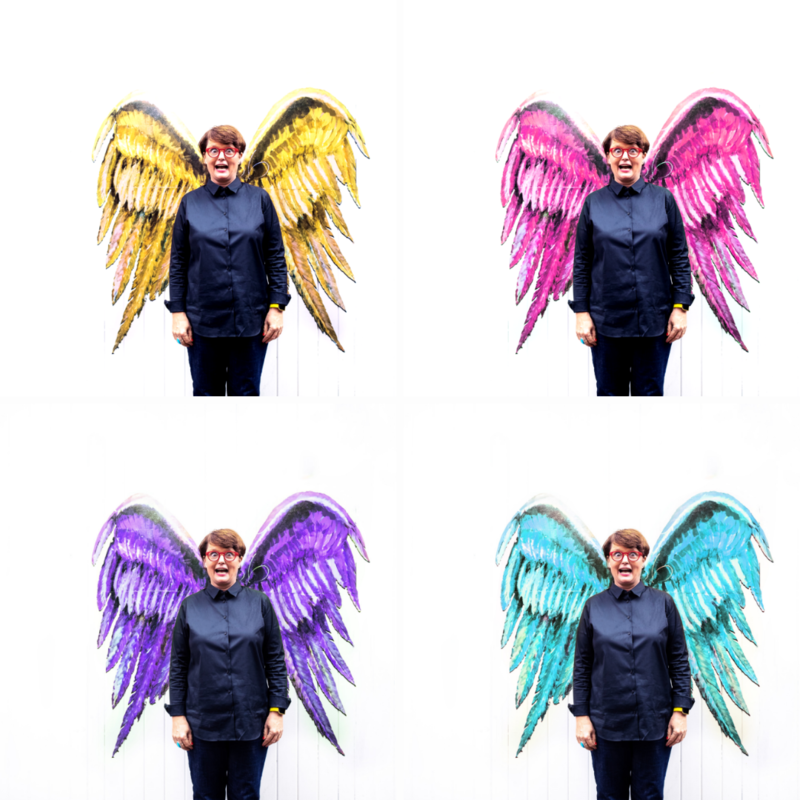 I learnt this process from Jo Klima‘s beautiful course AMULET and it has been a fantastic way to let go of blank photo card paralysis (like white page paralysis, but for photographers). And since then, whenever the fear of starting a new project settles in, I know I can exorcise it with a bit of paint. 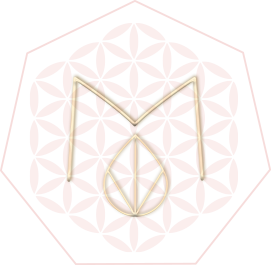 The process is simple, and highly intuitive and it seeks to create an anchor, a reminder of our intention. To declare our openness to divine inspiration and divine guidance. To call in the energies we want to play with, intentionally and consciously. 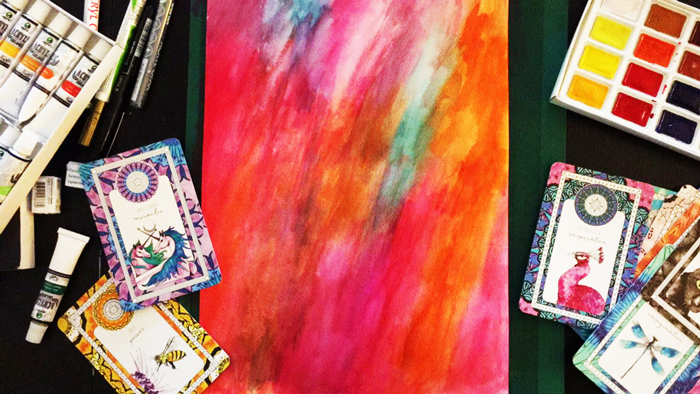 It’s not about knowing how to begin a project, it’s about feeling our way into it, one brush stroke at a time- which is why it works so beautifully. It shuts down the mind, and opens the heart. And by the time I’m done, resistance is gone and taking the next steps of a new project are easier, because it feels like I’ve already begun. The painting above marked the beginning of a project I’ve been dreaming about for some time and that I’ll be birthing into the world in the next few weeks. 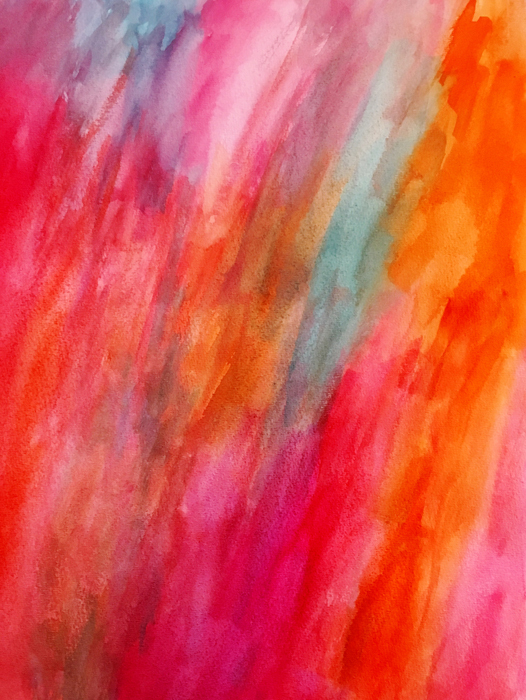 I used red, orange and turquoise to call in creativity, passion and free-flowing communication. 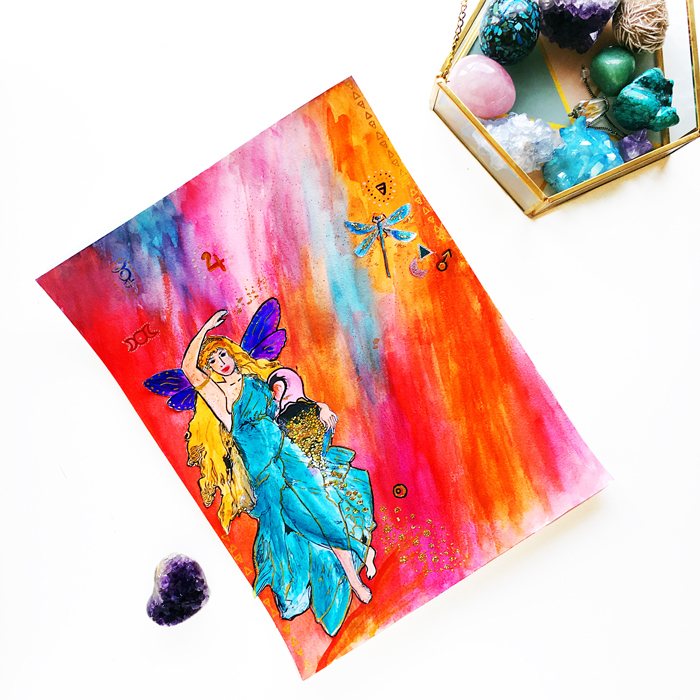 I called in the energy of Goddess Fortuna, so it’ll prosper and the help of the dragonfly, to connect me with the best ideas within me. I called on the Earth to anchor this project into reality, Fire, to bring it to completion, and the Moon, to imbue it with divine feminine essence. I called on Mars for strength and courage and Jupiter for blessings. I saged the room before beginning, lit a candle to illuminate the way, and played one of my favorite mantras while I painted. I’ll tell you more about this project and the rest of my creativity conjuring rituals in my next blog posts. And now, let me know: how do you create? A few weeks ago, I saw this article, and it got me thinking about something I’ve known since I started working as professional photographer, but had never written about, or communicated with anyone other than my own clients. It got me thinking that photography is both affected by who we are, and affects our definition of self at the same time. A good portrait captures the essence of who you are, and how you show up into the world. It has your same energy, and is recognizable by those who know you. It says things about you that it would take paragraphs to express in words. It conveys who you are and how it feels to be in your presence. A good portrait is authentic and because of that, it is powerful. It provides people with the most real and authentic vision of who you are, and it does so in seconds. It’s like a banner that says ” This is me, this is my energy, and this is what I bring to the World”. A great portrait allows you to realize that the person you hope to be, is who you already are. It allows you to see (actually see) that those qualities you dreamed of having are already inside of you. And by doing so, it helps you step into your power, and claim those qualities in your day to day life. A great portrait helps you become more visible and lose fear because it shows you the light that is inside you. I often tell my clients that my camera is my wand and its magic lies in its two mirrors: In one, it captures your idea of yourself, and with the other it reflects back at you who you really are, in all your greatness. It’s not makeup, or pretty clothes -though those may help, for as long as you feel like you when you wear them. It’s knowing, with all your heart, that who you are is enough. This is particularly powerful when it comes to business portraits and business lifestyle photos. It’s virtually impossible to succeed at business when we don’t believe in what we do or in who we are. This is what you Sue Bryce calls “The stink”: the energy of “I’m not good enough” that repels clients and customers away. The truth is, most of us start feeling like a failure, and continue to struggle with these feelings every time we face a big upgrade. Business, like life, is not linear and easy. We don’t get to a point where we can confidently say ” That’s it, I made it, now there’s no more struggle over anything”. Every time we master one aspect, a new challenge appears, and new phase we must move into, a new area where growth calls us to show up. Business, to me, is the greatest journey of self discovery for exactly this reason: we never get it done, and in order to step up our game, and move to the next level, we need to go within and become the person we need to be to get there. The thing is, sometimes we don’t realize we have it in us to move forward, until we see ourselves embodying those qualities in an image. The process of change and growth is, many times, a gradual one. We transform within, shedding old skin, but we’re so used to ourselves that we frequently don’t notice the transformation until the camera shows it to us. The best part? It’s the same with product and business lifestyle photos. Great product and branding photos help you realize the greatness of your work- and show it to others with pride. An amazing portrait helps you redefine your identity and those of other women who do what you do. What does a powerful woman look like? How does a leader look like in your eyes? When I say successful, what do you picture first? What do you think about when I say beautiful? For centuries, success was defined by others. More precisely, by men. The yacht, the private plane, the big house with golden everything, the power suit, the power poses. Luxury and Power evoked very defined ideas in most of us, because that’s how power and luxury were portrayed in advertising, movies, and the photos of glossy magazines. The more and more women enter the entrepreneurial world, the more these ideas start to be redefined. Luxury, for some, is being able to retire their husband, travel the world, bring the kids to school. Crystals and not expensive handbags is what we buy with our money. The causes we help with our money, the conditions under which we employ people, the lifestyle we choose to have are not defined by Vogue or the Financial Times any longer. Taking photos of yourself and your business in a way that portrays what success, business, power, luxury and aspiration look like to you is an act of courage, and even rebellion. Your photos make a statement about who you are, what you believe in, and also about what is possible. They help others like you feel less alone in wanting something different. It helps them see new possibilities that may seem closer to their hearts. They help you define, by yourself, who you are. Shatter stereotypes. Reclaim your truth. And that is powerful. And revolutionary.